$158.25 each List: $211.00, You Save: $52.75! Grover Pro's Bronze-Pro Hammered model triangle represents the collective experience of over 30 years of hand-crafting the world's finest triangles! 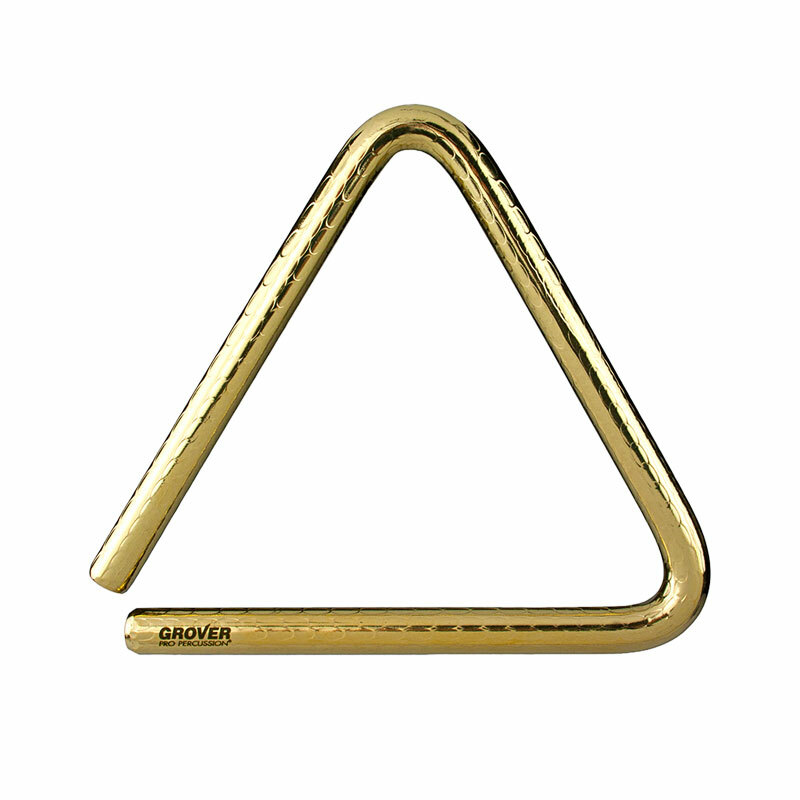 Bronze-Pro Hammered triangles are manufactured from a unique 0.5" diameter special high-grade bronze alloy. Prior to hand bending, the solid alloy rod is repetitively and meticulously hammered in a compact randomized pattern. This insures that the inherent fundamental pitch is damped and that the instrument's intricate and complex harmonic structure is enhanced. After fabrication, each and every triangle is hand tested and precision engraved with the Grover logo and a unique serial number.